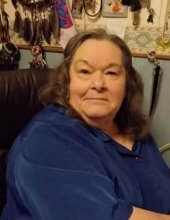 Phyllis I. Faust, age 73, a resident of Gladwin passed away at McLaren Bay Region Hospital in Bay City on February 5, 2019. She was born on November 4, 1945 in Lansing, the daughter of Charles and Norma Kelley. She is survived by her loving husband of 51 years, Allan Faust, dear children Allan Jr (Lindsay Van Horn), Charlie (Danielle Bond), Tina (Mike) Doty and Suzanne (Dave) Bossie. Beloved grandmother of 15 and great grandmother of 11. She was preceded in death by her son Randy J. Faust and her sister Katie Bessette. Honoring her wishes cremation has taken place and a memorial service will be held at the Secord Lake Eagles in the spring. Arrangements have been entrusted to Sisson Funeral Home. To send flowers or a remembrance gift to the family of Phyllis I. Faust, please visit our Tribute Store. "Email Address" would like to share the life celebration of Phyllis I. Faust. Click on the "link" to go to share a favorite memory or leave a condolence message for the family.